Avital Zeisler is a world-renown hand-to-hand combat expert, women’s empowerment coach and creator of The Soteria Method™ (www.soteriamethod.com), a unique practice incorporating fitness, self-defense, and personal discovery that has transformed the lives of women from all walks of life including including everyone from Hollywood actresses like Amanda Seyfried and Keri Russell to those struggling to overcome trauma from violence and sexual assault. 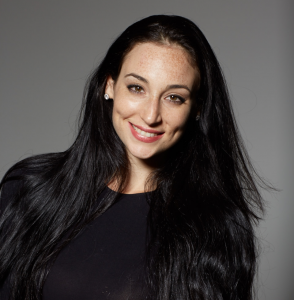 Originally a professional dancer trained at the National Ballet School of Canada, she began her exploration of self-defense by studying Krav Maga and working with military personnel, law enforcement and security specialists from around the world, eventually becoming a globally-sought hand-to-hand combat and security consultant.Avital is also an ACE-certified personal trainer, working with private clients and celebrities for fitness instruction as well as providing fight training for specific roles for television shows like The Americans and The Blacklist. Sorry, Avital hasn't written anything yet.